DDC Laboratories India has opened up a collection center for DNA Test in Banswara Rajasthan. 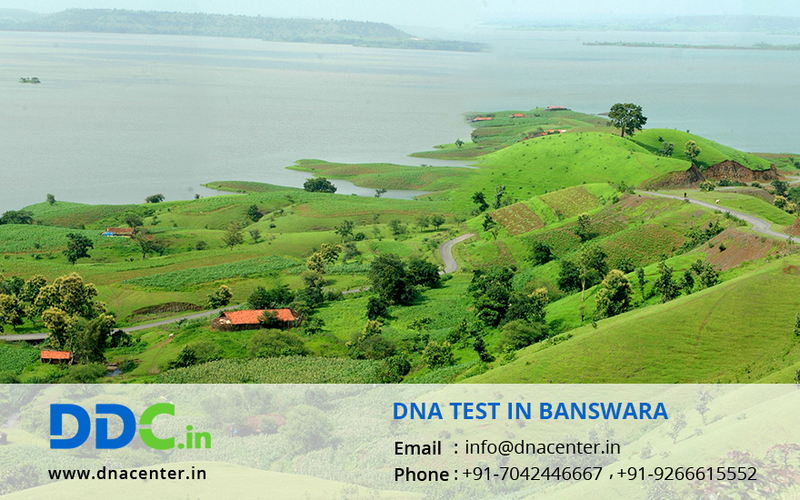 With a facility of DNA testing in Banswara you can get all types of tests done here. Our staff at DDC is experienced and expert in providing DNA testing services. We provide fast, reasonable and reliable DNA tests results. We conduct DNA test for peace of mind, discover your ancestry history, dead body identification and infidelity cases. DNA tests provide answers to complex questions that would have remained unanswered otherwise. Our experts ensure that the tests are carried out as per global standards to guarantee your peace of mind and accurate result. We are allied with DNA Diagnostics Centre Inc. USA, the world leader in providing AABB accredited DNA testing services. Many counselors, hospitals and medical specialists rely on us for trustworthy and correct test results. We offer DNA testing services at realistic prices and as per government norms. We ensure the accuracy and trustworthiness of our conclusive results and remain precise for all configurations of DNA tests. We not only guide our clients to choose the right tests, but also help maintain complete confidentiality of test results. We also provide free counseling as per your DNA test requirement. For any type of DNA Test in Banswara Rajasthan, please fill the below form and our executive will contact you. For further queries give us a call at: +91 7533008488.